Interactive whiteboard allows multiple users to write, draw, move or resize objects simultaneously. Choose ideal IWB sizes to fit up the class. TRIUMPH BOARD 89” MULTI Touch is an interactive whiteboard that allows 10 users to write, draw, move objects or 5 users to resize and rotate 5 objects with 2 fingers per object simultaneously. 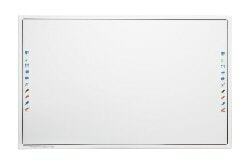 TRIUMPH BOARD 78” MULTI Touch is an interactive whiteboard that allows 10 users to write, draw, move objects or 5 users to resize and rotate 5 objects with 2 fingers per object simultaneously.